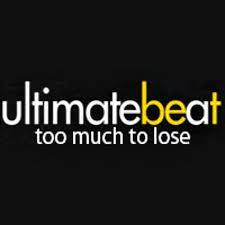 UltimateBeat, a documentary that takes a look at the Ultimate Bet cheating scandal will be released on October 22nd. The new low budget documentary aims to tell the story of what really happened in the Ultimate Bet and Absolute Poker affair and will be released on the Video on Demand service. Director Scott Bell has funded the project through a kickstarter campaign and his company Doublehead Pictures have been busy promoting the new film via social media and poker channels. Bell and his company are making the claim that their film will document a group of old school hustlers using technology during the poker boom years to defraud players out of millions of dollars without them knowing a thing. In a statement released by Doublehead Pictures they say that, "After successfully launching a popular [online poker] site, a group of insiders used software access to defraud players over a period of years without detection. When discovered, they went to great lengths to cover-up the crimes in order to repay less than the amount stolen,” and that "Nobody was ever investigated, arrested, indicted or prosecuted for the crimes. The subtext is how a small group of players crowd-sourced an online investigation to force UltimateBet into repaying far more than they intended, if not fully." So it’s been talked about written about and now there’s a film about it, surely there’s someone out there with a t-shirt about it too to complete things. This story will of course roll on as it shocked the online poker community as well as doing a whole lot of damage, and it will be an interesting watch, however no real new evidence will be on show, as if there were any, it would have been out there by now.